Anyone who has continued to follow the unfolding chronicle of the Bosnian ‘pyramids’ since their ‘discovery’ in 2006 will have noted that - apart from the discovery of a mysterious ‘structure’ in the Ravne tunnels , SBRG’s ultrasound investigations, and their proposal that the hill of Visoko is directing some kind of energy beam into outer space - things have been relatively quiet over the past 18 months or so… One event that did get commentators excited in the autumn of 2011, however, was the prospect of a documentary produced by the hugely popular National Geographic Channel. So the question of whether there really were pyramids in Bosnia would obviously be a good subject for this sort of documentary. Of course, in line with the stated purpose of the series, two experts from England, an archaeologist and a geologist, had been lined up as presenters. But, given all the publicity that the documentary would generate, and the Foundation’s unshakable conviction that any archaeologist or geologist worth their salt would only have to set foot in Visoko to realize at once that the angular hills there could only be ancient pyramids built by man, what could possibly go wrong? Some months later, in the summer of 2012, the documentary was duly broadcast. Responses, some from Mr. Osmanagic, some from others, soon began to appear on the Foundation website and elsewhere – although, disconcertingly, they fell rather short of the congratulatory sort that might have been hoped for. A furious Mr. Osmanagic also said that the 30-minute documentary was a failed attempt to ridicule the pyramids in Visoko, and that it offered: “… nije ponudio niti jedan konkretan dokaz, potkrijepljen činjenicama, već kamaru trolanja, netačnih i nelogičnih navoda.” (“no concrete evidence, supported by facts, but a heap of trollish, inaccurate and illogical statements.”) Furthermore, Chapman, the archaeologist who co-presented the documentary, was primarily interested in ‘wetland sites’ (the implication being that this could have no connection with Visoko, which was not a wetland site). Mr. Osmanagic was quoted on a forum as also saying that his team had spent 300,000 hours on archaeological excavations; they had also analysed samples, and had arranged for radiocarbon dating tests to be performed. One commentator remarked that, on Googling Henry Jerome Chapman, he could find not one reference to any archaeologist of that name. If these criticisms are accurate, then the National Geographic production team clearly made a grave mistake in asking a couple of ignorant and incompetent Englishmen, apparently masquerading as scientists, to present the documentary. Perhaps, therefore, we should take a closer look at it, to see exactly where the two presenters went wrong. Contrary to statements on the Foundation website and elsewhere, the programme in fact lasts for 45, not 30, minutes. Unfortunately, interested readers can no longer view the documentary on YouTube, but the following is a description of the principal points of the documentary. Jerram and Chapman investigate five factors that, so it has been claimed, form evidence supporting Semir Osmanagic’s theories. They begin by going in search of traces of the civilisation that allegedly built the pyramids 12,500 years ago, and look for evidence of the remains of tools and other artefacts that might have been left by these ancient builders. The pair look next at what Mr. Osmanagic claims are a series of manmade terraces; and, following that, they enter the Ravne tunnels. They meet Mr. Osmanagic at the Pyramid of the Sun, which he believes is constructed with massive building blocks. Finally, they scrutinise the shape, and alignment, of the pyramids. In search of traces of pyramid construction tools left behind in c. 10,500 BC, Chapman first visits the National Museum, Sarajevo. But all he is shown are small flint tools – not at all the sort of thing could have been used to build pyramids. However, as Chapman is to find out later, Mr. Osmanagic has a theory that would explain why no artefacts have been found. In the meantime, however, Chapman and Jerram go to see the so-called Pyramid of the Moon, 120 feet higher than the Great Pyramid in Egypt, where Mr. Osmanagic has found what he believes are manmade terraces. By way of example, he shows the pair a sandstone pavement which displays an apparently regular design that can surely only has been the result of human effort. Jerram, however, as an experienced geologist, realizes that it is much more likely to be the compressed remains of a coastal shore-line millions of years old. One important indication that the sandstone pavement is in fact a natural phenomenon is the presence of ripple-marks, whose contours, uninterrupted by breaks in the surface of the sandstone, form an exact match on either side of the cracks in the surface. Nevertheless, Mr. Osmanagic is unimpressed by this geological argument, arguing – in the face of the geologist Jerram’s complete incredulity - that the ancient builders somehow cut out a rippled sandstone bed, transported it to the location of the Pyramid of the Moon, and set it in place in such a way that the ripples matched up exactly on either side. Leaving the Pyramid of the Moon and its problematic rippled pavement, Jerram and Chapman then turn their attention to the tunnels of Ravne. Because tunnels are found in the proximity of so many of the Egyptian pyramids, sometimes leading to chambers containing funerary remains, Mr. Osmanagic infers that the Ravne tunnels might also have some connection with the Bosnian pyramids. He argues that the latter were constructed about 12,000 years ago (c. 10,000 BC) by an advanced civilisation, before being cleared and filled in some 5,000 years later (7,000 years ago, c. 5,000 BC) by another civilisation. Mr. Osmanagic believes that the fact that the tunnels were supposedly cleared in c. 5,000 BC explains why there are no artefacts to be found – in other words, that absence of evidence is actually evidence of absence - whilst the fact that the tunnels were supposedly then filled in indicates that the people of the c. 5,000 BC civilization were anxious to conceal something “of global importance” left by the previous civilization. Given the six years spent working in the tunnels, and despite the poor lighting conditions, Mr. Osmanagic claims even to be able to distinguish what he calls filling material (left by the later civilization) from what he calls conglomerate left by the earlier civilization. With a rhetorical flourish, he asks Jerram and Chapman why the sand in the tunnels seems to miraculously stay in place all by itself, apparently defying gravity, without the help of any binding material. Jerram, however, is rather less sanguine about the long-term stability of the roof, while, for his part, Chapman, clearly unconvinced by Osmanagic’s claims to be able to differentiate between the various materials left by the two hypothetical ancient civilizations, has reservations about the archaeological methodology, for, in most tunnel excavations of this sort, archaeologists would be trying to identify differences in the textures of different layers, etc. In any event, despite Mr. Osmanagic’s insistence on the gravity-defying nature of the sand in the tunnel, Jerram and Chapman are by this time extremely worried about their safety, call a halt to any further exploration, and lose no time in retracing their steps. Safely outside once more, Jerram comments on the instability of the tunnel walls. Chapman suspects that the present-day excavators have been misled by the looseness of the material into thinking that, by pulling it away, they are following the course of an ancient tunnel, when, in fact, all they are doing by dislodging the loose earth is digging new tunnels – tunnels, moreover, that could collapse on them at any moment. The time has come for Mr. Osmanagic to play one of his remaining trump cards. He takes the sceptical pair to the Pyramid of the Sun (the hill of Visocica), which he believes is actually a huge pyramid made of massive building blocks, formed from material removed from the tunnels by the ancient builders. He points to what he claims are evidently four rows of these blocks. Jerram, however, is not convinced by these claims, explaining that there are many examples of similar rocks that – despite an apparently man-made appearance – have nevertheless been formed naturally. And a Bosnian geologist, Dr. Ramovic, shows Jerram a geological map of the region clearly indicating that these hills consist of layers of rock found throughout the area. Mr. Osmanagic, however, continues to insist that there is one remaining factor that tips the balance in favour of his theory of ancient pyramids. His next card is not only the fact that the pyramid is covered with ‘natural concrete’, but also the supposed fact of its alleged perfect orientation to the cardinal directions, and its 45 degree slope. Jerram decides that he and Chapman will put Mr. Osmanagic’s theory to the test. From the aeroplane which they have chartered to fly over the Visoko area, they see where the remorseless forces of geology have effectively formed the region’s hills into a series of flat, tilted slabs, their corners forming roughly triangular shapes, something like the edges of a series of large volumes - say, the Encyclopaedia Britannica - thrown in a heap and lying slant-wise against one another. This triangular characteristic is particularly noticeable in the face of the hill opposite Visoko, though less so in the case of the other sides of the hill, which just resemble other hills in the area. Indeed, the inclined angles of the dips – claimed by Mr. Osmanagic to be 45 degrees – turn out to be on average about 26 degrees, sometimes 30 degrees, but in some cases as little as 16 degrees. As for the alleged orientation to the cardinal directions, Jerram, with the help of a compass, discovers that, although some slopes could be said to face in a generally north direction, there are many others that are not north-facing at all. At the end of their visit to Bosnia, therefore, the pair have no choice but to conclude that what they have been looking at are the remains of lake and river sediments deposited several million years ago. They have found no traces of any archaeology; what they have witnessed is the implementation of poor methodological practice that would effectively destroy any archaeological remains that did happen to be there. For their part, however, Jerram and Chapman suspect that the only evidence for the Bosnian pyramids lies in Mr. Osmanagic’s imagination. It cannot be denied that many other English-speaking authorities who have visited the Bosnian pyramids have come to conclusions similar to those of Jerram and Chapman. So were these experts wrong, too? One of the earliest to visit the site in 2006 was the president of the European Association of Archaeologists, Anthony Harding; his visit is described in “The great Bosnian pyramid scheme” . He concluded that he could see: “… no sign of anything that looked like archaeology”. The Foundation complained that it was a matter of: “… jealousy or minds closed to new ideas”, and also argued (Bs) that, anyway, Harding had not spent enough time there to be able to come to an informed conclusion. (This complaint about not enough time being spent at the site was, of course, similar in nature to the one in 2012 about Jerram and Chapman having spent only a few days in the area). But there were other English-speaking experts whose visits – at least initially – were warmly welcomed by the Foundation, experts such as the geologist Robert Schoch, celebrated in the alternative history community for his theory that the Sphinx of Giza was much older than commonly accepted, which meant that, although a recognized academic, he was considered as something of a maverick, not really part of mainstream academia. Surely, therefore, he would also take a similar non-mainstream view of the Visoko pyramids? Despite these frustrations, the Foundation’s spirits were evidently raised by a later visitor in 2010 - not an alternative historian this time, but an eminent anthropologist, Ezra Zubrow, so a member of the very academic establishment that the Foundation affected to challenge and despise. Furthermore, Professor Zubrow made encouraging comments, as reported in this news ítem on the Foundation website dated 14 June 2010, and this one dated 29 June 2010. It was unfortunate, then, that later investigation by Tera Pruitt in connection with her Cambridge doctoral thesis revealed some problems with the portrayal of Professor Zubrow as an enthusiastic supporter of the Bosnian Pyramids project: “Zubrow felt that his visit was grossly misinterpreted and manipulated to read as ‘expert consensus’ and ‘proof’ of pyramids” . If acknowledged experts have fallen so woefully short on the task of recognizing the existence of the Bosnian pyramids, it is hardly surprising that bungling and inept individuals such as Jerram and Chapman have made an equal hash of things. So what exactly are their credentials? The reader might recall that one person had complained that they could not find one reference on the National Geographic site to an archaeologist named Henry Jerome Chapman (although there were three for Osmanagic). The same person also complained that a Google search for “Henry Jerome Chapman” came up with a list of results that referred only to the National Geographic documentary. So there was no such archaeologist… or was there? A search on the National Geographic site does indeed reveal three entries for Osmanagic, although none for Messrs. Jerram and/or Chapman. However, given that the documentary has not yet been listed in the Ancient X Files available on DVD (dated 2010), this is hardly surprising. There also appears to be some inexplicable confusion over Dr. Chapman’s name. He has confirmed that his name is “Henry Chapman”, that “Jerome” forms no part of his name, and that he has never used the name “Henry Jerome Chapman” : consequently, any search for an archaeologist of that name is hardly likely to produce any results (apart from mistaken versions of his name in connection with the Bosnian Pyramids documentary). Nevertheless, Dr. Henry Chapman (sic) is a senior lecturer in archaeology at the University of Birmingham; his professional qualifications (with full descriptions of his research and publications) are detailed here. The reader may also recall a complaint about the National Geographic documentary to the effect that the presenters were continually surrounded by technicians and camera crew, the implication being that this prevented them from giving their whole attention to the question of the pyramids and tunnels. However, both Chapman and Jerram have extensive broadcasting and media experience, and are obviously well used to working alongside production crews. Dougal Jerram’s details, for instance, include a long list of TV credits. To cut a long story short: far from being an inept and incompetent impostor, Dr. Chapman in fact has an impressive array of archaeological qualifications and experience to his credit. 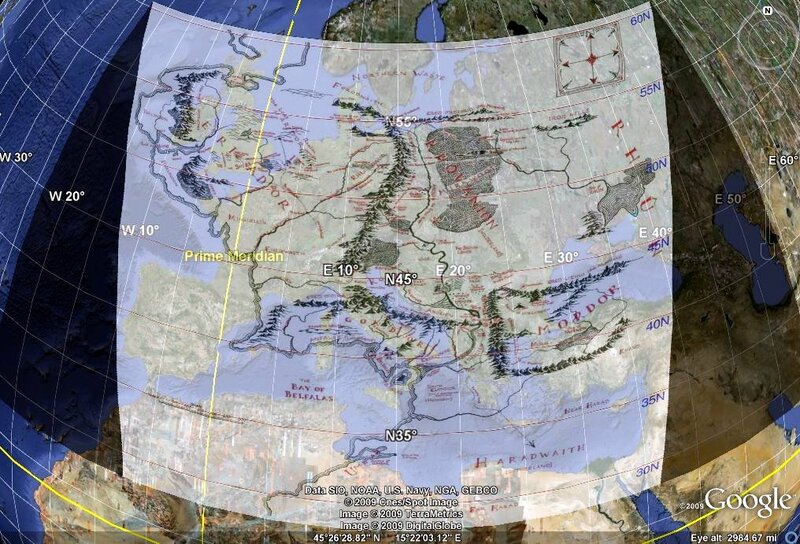 If anyone can be relied on to know an artificially modelled ancient landscape when they see one, he can. Had he found an artificially modelled ancient landscape at Visoko, we can be sure that he would have said as much in fairly short order. The trouble was: he didn’t. So he couldn’t. And exactly the same goes for Dr. Jerram, who is neither superficial nor an ignoramus, but instead a highly qualified earth scientist who, for many years, was Senior Lecturer at the Earth Science Department of the University of Durham; his biographical details and professional qualifications are listed here and here. (Amongst other works, he has co-authored The Field Description of Igneous Rocks .) Like Henry Chapman, had he found an ancient landscape, one that could not be explained by the action of geological forces, and must therefore be artificial, we can be sure that he would have said as much. Stjepan ĆORIĆ (findings described in interview); email of findings described in article). Dr. Mohamed Ibrahim El Anbaawy . Dr. Sejfudin Vrabac (scroll down; downloadable PDF report). Paul Heinrich described in article (he has also published various Web articles on the subject, including this 2007 letter to the journal "Science", "Pseudoscience in Bosnia"). So nine geological opinions (not including those of Irna herself , who has a background in geomorphology) are in broad agreement on this question. And yet, even in the face of all these opposing opinions, the Foundation continues to resolutely insist that these Bosnian hills are man-made pyramids of non-geological origin. In Mr. Osmanagic’s book (bs) it is said to be a pyramid with four faces oriented toward the cardinal points, this fact being confirmed by a not yet published (but partially used in the document "Naucni argumenti") report by the "Institute of Geodesy of Bosnia and Herzegovina" (of which one member, Mr. Enver Buza, is "adviser" for the Foundation ); the same document adds that the North face is oriented "toward the celestial North" … [But] claiming that the North face of Visocica is oriented toward the "cosmic North" doesn’t make a lot of sense scientifically . Mr. Osmanagic and his team sometimes claim that Visocica is "oriented toward the North star" (or Polaris) . However, because of the Precession of the equinoxes (en), the celestial poles are slowly moving. If, today, Polaris approximatively marks the place of the North celestial pole, it was not the case 12,000 years ago (proclaimed age of the pyramid). At that time, the North celestial pole was very near to Vega (see this map showing the slow rotation of the North celestial pole during a period of about 25,000 years). The fact that Visocica is "oriented toward Polaris" is nothing more than a coincidence. But let’s admit that they just wanted to say, quite awkwardly, that the North face of Visocica is exactly oriented toward the North: it seems to me that the "exactitude" of this orientation is far from perfect! The article continues with more detailed discussion; and, accompanying it are several maps  and images demonstrating this argument, which, to the best of anyone’s knowledge, has never yet been addressed, let alone refuted, by the Foundation. If all that the Foundation have to offer by way of argument is simply to continue to repeat the same contention in 2012 as in 2006, refusing to face the objections raised by Irna, Jerram and others, it effectively means that one important support for the theory that the pyramids are man-made simply collapses. And that just leaves little more support than Mr. Osmanagic’s imagination – admittedly, a fairly vivid and powerful one, as a cursory examination of some of the books and documents that he has written quickly reveals. Coles, John M. (1972), “Field archaeology in Britain”, Methuen., p. 171. Now rumoured to have disappeared – or been lost – under mysterious circumstances. Sub Rosa, Issue 6, Oct 2006: pgs. 6-9. Ch. 5, pg 210 (PDF 221). There is another PDF report by Dr. Smailbegovic, published by the Foundation, which is the first "Geophysical Analysis", and covers the various indices found by studying satellite images. It concludes (pg 9) that: "… the author recommends that the area should be ground-truthed for possible evidence of anthropogenic activities." This report was written in the autumn of 2005, and revised in February 2006, apparently before Smailbegovic had made his own field study of the site. The PDF report mentioned in the main text is the second report written by Smailbegovic, dated July 2006, from the field study he conducted in the spring of 2006. This field report is entitled: "Ground follow-up to remote sensing survey of potential site of archaeological interest in Visoko Valley”. (Trans.) 28: One of the explanations of the success of the ‘pyramids’ question is connected with the geology of the Visoko region. The geological structure of Visocica (the limb of an anticline whose structural surface forms its north side, its other slopes formed by the action of rivers forming V-shaped valleys) is not in itself particularly remarkable. But Semir Osmanagic’s master stroke lies in his adaptation of the various natural features revealed by the excavations into artificial features, playing on resemblances that, although superficial, are relatively convincing to the layman. This is achieved by the systematic use of construction and civil engineering vocabulary, instead of geological vocabulary: the inclined conglomerate beds are the ‘walls’ of the pyramid, the slopes are the ‘faces’ of the pyramid; fractured blocks of conglomerate are "cut at right angles", and, when an old fracture is filled with a deposit of calcite, we are dealing with ‘cemented’ blocks. The horizontal layers of sandstone at Pljesevica, fine examples of orthogonal fracture networks, become ‘slabs’ or ‘floors’. Jerram: “Some of them face close to north, but the majority are not exactly north at all, so I don’t know what more to say, really.” [41:30] “Even the orientation of the top surfaces along here are not all north. There are very few that are north. Most of them are varying, just like we expect to see in Mother Nature…” [42:40]. This site, although not mentioned in “A ‘perfect’ pyramid?”, might be of some help to those interested in finding solar alignments at a particular location; in the case of Visoko, for example, one should look for “Visoko, Bosnia and Herzegovina”, although it does not seem possible to locate the hill of Visocica itself. It should also be noted that alignments detected by this particular software refer only to the present day, and not to dates many thousands of years ago. The Ancient X-Files video can presently be found here, from 20:42. Je comprend pas comment ce truc peut encore perdurer ! Don’ t understand how this bs can be alive ! Ca fait plaisir de vous lire de nouveau ! Je dois vous corriger : l’article n’est pas de moi, mais de mon ami Abacus ; j’essaierai de le traduire dans les jours qui viennent.